Charlie’s progress from the teeming streets of Whitechapel to the elegance of Chelsea Terrace is only a few miles as the crow flies. But in Jeffrey Archer’s expert hands it becomes an epic journey through the triumphs and disasters of the century, as Charlie follows a thread of love, ambition and revenge to fulfill the dream his grandfather inspired. As The Crow Flies follows the life of Charlie Trumper, beginning from when he was a young boy at the turn of century in 1900s, where he first learned about the costermonger business from his grandfather, known to be the finest trader in the East End of London. When his grandfather dies, Charlie inherits the business. Spanning over 70 years, we follow Charlie through both WWI and WWII as he strives to realize his childhood ambition to become a department store magnate, all the while being afflicted by an ongoing family feud with the affluent Trentham family. It is a rags-to-riches story of determination, war, boardroom drama, rivalry and revenge any Jeffrey Archer fans would recognize as reminiscent of Kane and Abel. And because of that, lies my problem with this one because I keep comparing the two books. I loved Kane and Abel tremendously, I couldn’t find fault in it but somehow As The Crow Flies did not seem to work out for me: it feels a bit over the top and melodramatic. And not just that, the story keeps shifting between the perspectives of one character to the other … and when that happens, the story gets a bit repetitive and it annoys me because I really want to know what happens next. 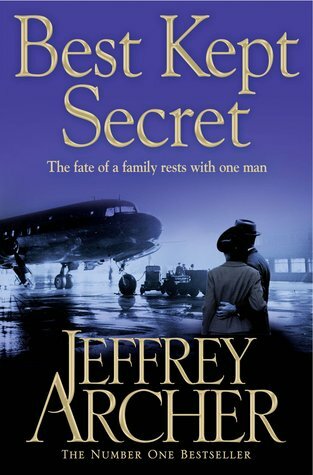 Don’t get me wrong, I still think Jeffrey Archer is one of the greatest storyteller of our time and I would read anything written by him. As The Crow Flies is undoubtedly one fine story. But just not my favorite. whatt? you didn't like as the crow flies? mrs archer thought that the book was one of the fine pieces he had written. of course, if you were to compare it wif kane and abel, nothing beats that. marmalade: That's the problem.. I kept comparing the two books. Kane & Abel won everytime, hands down.